At Business Image Printing, our custom printed pillow boxes are a fun and creative style of packaging your product whether it be small bite-sized treats or an elegant restroom addition. With Business Image Printing you can design and create the perfect custom printed pillow boxes to complement your product’s overall style and feel. If you’re going for a fun, creative look or a more elegant style then our team is happy to work with you on either in making sure your special designs or artwork is flawlessly implemented onto your custom packaging. 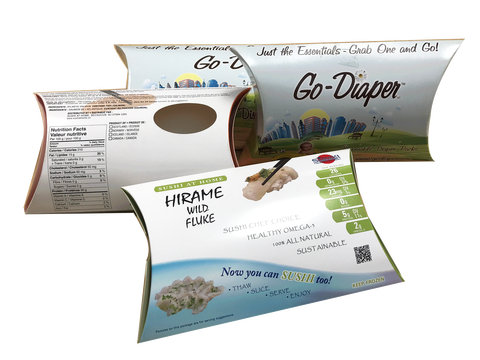 And to make sure your product’s packaging is made exactly how you want it we also offer free mock-up samples of your custom packaging prior to final manufacturing for you to view at home for yourself anywhere in the United States. With Business Image Printing you can achieve quality custom printed pillow boxes for your product at affordable costs and fast turnarounds. So don’t wait any longer and order our custom printed pillow boxes for your own product today at Business Image Printing. For more information regarding any special additional features such as spot UV coating, hot stamp foiling, or embossing, feel free to contact us for more details.